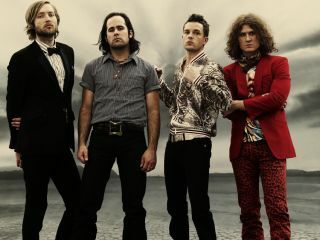 Electro indie rockers The Killers are the latest headline act to be announced for the Benicàssim festival 2009, which takes place from 16-19 July on Spain's east coast. The Las Vegas outfit will close four days of festivities, joining Oasis, Franz Ferdinand, Kings Of Leon and Paul Weller in what's shaping up to be one of the best festival bills of the summer. For more information, including tickets, visit the official FIB Heineken website.